This year marks the 21st anniversary of the Brighton Toy and Model Museum in Brighton. 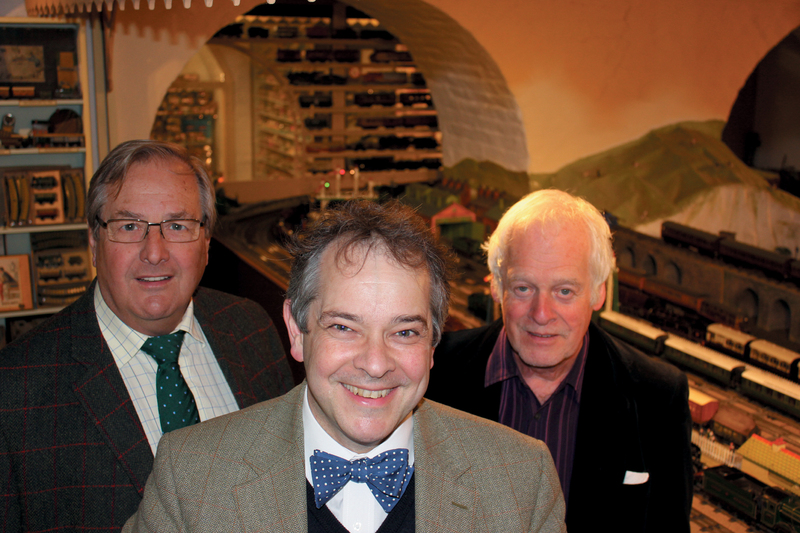 It was founded in 1991 by museum director Chris Littledale, whose passion for model railways is at the heart of this extraordinary, jewel-like museum. The museum’s centrepiece is a working, 1930s O-gauge railway layout. Chris Littledale describes his interest in trains as a lifelong passion, which he traces back to a live-steam model railway which he visited in Southsea with his uncle. “I still remember the smell, the steam and the noise,” Chris enthuses. “It seeded a lifelong passion for trains, which has never left me. When I was at boarding school, I found a second-hand O-gauge model railway for sale – it was beautiful!” Chris recalls that he so loved the set that he even tried to acquire a loan from the headmaster’s wife to purchase it, but was unsuccessful. All collectors have a list of the things which they have missed or failed to buy and it would seem that Chris is no exception. In his teens and early twenties, as his friends turned out their railways, he was on hand to buy their unwanted trains and accessories; they were wonderful things to his eyes. In those days just a pound or two would buy something lovely. By his twenties he was already restoring and repairing these childhood treasures. This collecting passion continued until one day there was model railway everywhere. “It was in cupboards, kitchen cabinets, even under the bed,” he acknowledges, “and I decided that I needed to share it all with others.” Collectors like Chris are often defined by this sense of custodianship, rather than ownership. Their delight in the acquisition of knowledge is frequently as strong as acquiring the object itself, and once we have acquired knowledge, we want to share it and our excitement with others. Out of Chris Littledale’s generous desire to share his collection, the Brighton Toy and Model Museum was born. It fills a number of railway arches under the forecourt of Brighton railway station. The collection has many exhibits of national and international importance to the history of toys. On display are collections of Steiff and other soft toys, Meccano, Dinky, Tri-ang and Corgi vehicles and, of course, the trains. Today it draws people of similar passions from all over the world and is mostly run by volunteers. A passion for trains is something which speaks into my own childhood. They say that the memories of those we love are as real to us as if they are our own. I grew up enthralled by Dad’s memories. My father, Alan Toovey, recounts, “I still remember vividly the noise and smell of the streamline L.M.S. Royal Scot express, liveried in blue and silver, coming at full tilt through Hatch End station, near Harrow, as I stood as a young boy on the footbridge, on my way to primary school.” This passion for trains has never left him. Enthusiasm for trains is something I have been rediscovering with my daughter, Emma, who you see here driving the rare Bassett-Lowke model of the Royal Scot with Chris Littledale. This year celebrates the 150th anniversary of the birth of Frank Hornby. He invented Meccano in 1901 and went on to make model trains after the Great War. 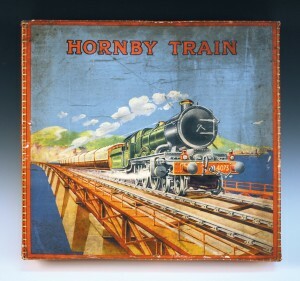 The appeal of Hornby trains remains undiminished almost a century later. Many model trains are still affordable. Emma’s and my Hornby OO-gauge railway layout, with landscape and even a beach, is on a much more modest scale than Chris’ magnificent set at the museum, but it still delights. If you want to share in a passion for trains with fellow enthusiasts or relive childhood memories, visit the Brighton Toy and Model Museum. This is a place filled with life. The trains are not just static exhibits but are often run. The museum is open Monday to Friday 10am to 5pm and Saturdays 11am to 5pm. 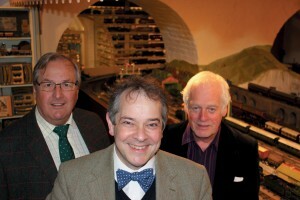 To find out more, go to www.brightontoymuseum.co.uk or telephone 01273 749494. More information on Toovey’s Specialist Sales of Toys, Dolls and Games can be found by clicking here. By Revd. Rupert Toovey. Originally published on 22nd May 2013 in the West Sussex Gazette. It is always a pleasure to journey with Simon Martin, Head of Collections at Pallant House Gallery in Chichester. This week I am joining him at the Gallery’s important exhibition of work by the American born artist R.B. Kitaj. The show, titled ‘Obsessions’, runs until the 16th June and includes many international loans of iconic work from the artist’s extensive oeuvre. Kitaj is considered to be one of the most significant painters of the post-war period and the last major retrospective exhibition of his work was held at Tate in 1994. Together with his friends Francis Bacon, Frank Auerbach and Lucien Freud, he pioneered a new figurative art, challenging the prevailing trend of abstraction and conceptualism in London. I have been back to the Kitaj exhibition several times now and on each occasion I am excited by the depth and quality of the work, but it is the large oil on canvas ‘Juan de la Cruz’, shown here with Simon Martin, that arrests my attention. 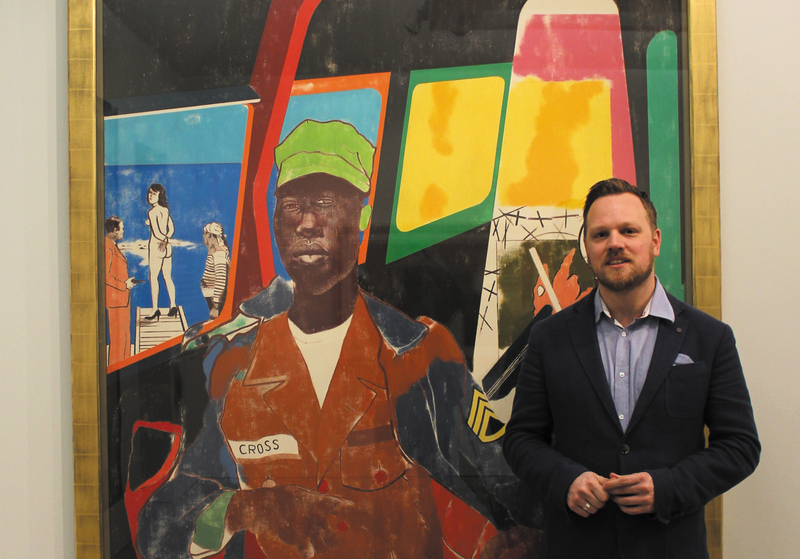 “Kitaj often comments on the politics of modern culture,” Simon explains, “and this work speaks of the Vietnam War and America’s role in global politics.” The young man’s face is exquisitely observed and painted; it has a timeless quality reminiscent of 17th century portraits. I am captivated by the impassive eyes of this African American soldier. His penetrating gaze involves you with the scenes of cruelty and inhumanity that play out around him; we are not passive observers. “There is great ambiguity in this painting,” Simon interjects. “The soldier looks at you on the level. His emotional detachment invites us to question his role in the scenes depicted around him. Is he victim or perpetrator? The young man’s name, ‘Cross’, and the crosses in the centre right of the picture are rich in Christian iconography. Is this serious and intentional or a pun?’ To me, the crosses speak powerfully of Christ sharing our human suffering, united with us by the Cross, involved and not passive, the crosses symbols of hope rather than despair. It is a remarkable achievement to present an exhibition of such importance in the heart of Sussex and Simon Martin acknowledges the hard work involved. I admire his vision, assuredness, passion and tenacity in all that he does. This is a show not to be missed and Simon deserves our thanks. Before I leave Pallant House Gallery there is just time to see, once again, the ‘Barbara Hepworth’s Hospital Drawings’ exhibition. 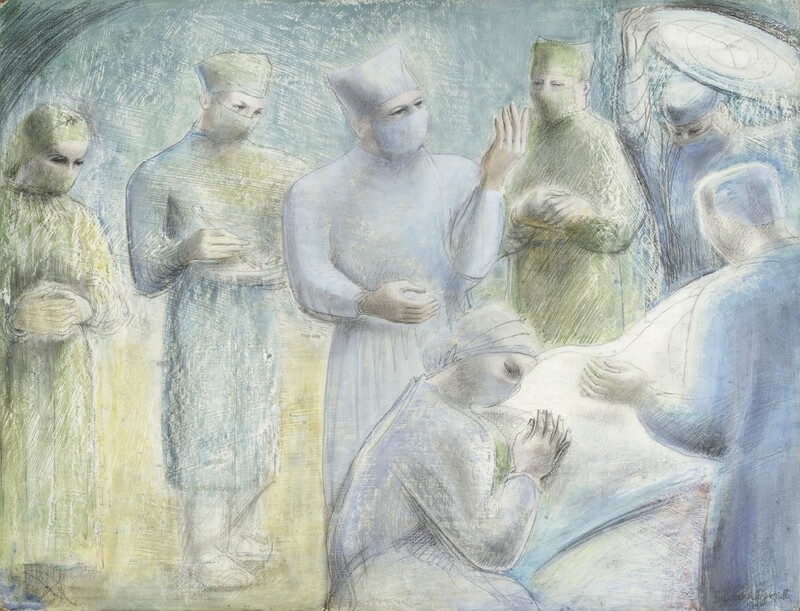 Barbara Hepworth embarked on this series of studies of the operating theatre in the late 1940s. They were begun on the invitation of her friend, the surgeon Norman Capener, who had saved Hepworth’s daughter, Sarah, from a near fatal illness. These then are a very personal reflection on the surgeon and theatre. The work is figurative with a wonderful quality of light and mass, reminiscent of the early Italian Renaissance artists Giotto di Bondone (1266-1337) and Masaccio (1401-1428). Many of the pictures are worked on a gesso-type ground, a kind of fine, dry plaster, which Hepworth rubbed and scraped before applying a thin coloured oil paint wash, which she then scratched through to reveal areas of white ground. The technique was pioneered by Picasso, who shared it with Hepworth’s lover, Ben Nicholson. These studies are filled with narrative and reverence; there is a sacred quality to the figures as they prepare to operate. You sense the sculptor’s affinity with the surgeon’s craft. I share the exhibition curator Nathaniel Hepburn’s fondness for this sacred quality, expressed in ‘Prelude II’, shown here, painted in 1948. At the foot of the bed a woman sits with her hands joined and head bowed in a gesture of prayer. The characters in this story are gathered in the operating lamp’s pool of light. In the centre a man stands with his hand raised, as if in blessing, surrounded by figures whose hands are clasped, as if in prayer. In other drawings the surgeon stands at the operating table, his hands reminiscent of a priest’s celebrating Holy Communion, consecrating bread and wine at an altar. It has been a privilege to support, through Toovey’s, the Barbara Hepworth’s Hospital Drawings exhibition, which provides such an extraordinary insight into Hepworth’s work and life. I hope you enjoy it as much as I have; it is both beautiful and unexpected. These two extraordinary artists’ exhibitions allow us to glimpse something beyond our immediate perception of the world and our humanity, something at once sacred and secular. They continue for only a few more weeks, rare treats too good to be missed. ‘R.B. Kitaj – Obsessions’ runs until 16th June 2013 and ‘Barbara Hepworth’s Hospital Drawings’ until 2nd June 2013. For more information about the exhibitions, related talks and opening times, go to www.pallant.org.uk or telephone 01243 774557. By Revd. Rupert Toovey. Originally published on 15th May 2013 in the West Sussex Gazette. 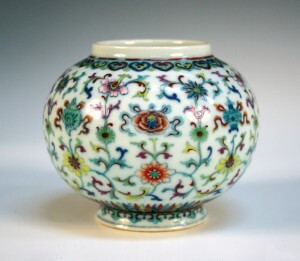 By the mid-18th century, Chinese porcelain produced for imperial appreciation was at its height. The Qianlong period (1735-1795) overlapped with the reign of our own King George III. As the Industrial Revolution grew under the Farmer King in Britain, the processes and techniques of porcelain manufacture in China reached an advanced stage. This found expression in restrained decoration, characterized by delicacy and brilliance. Among the favourite wares chosen by Chinese potters of the 18th century for inspiration or copying were those of the 15th century from the early Ming and Chenghua reigns. That they chose to copy earlier styles is reflective of general trends in Chinese art, which display a tendency to antiquarianism. Balancing this was the desire of Qing rulers to validate their own sovereignty and status through associating themselves with earlier reigns by invoking these earlier styles in the designs for their own imperial porcelain. 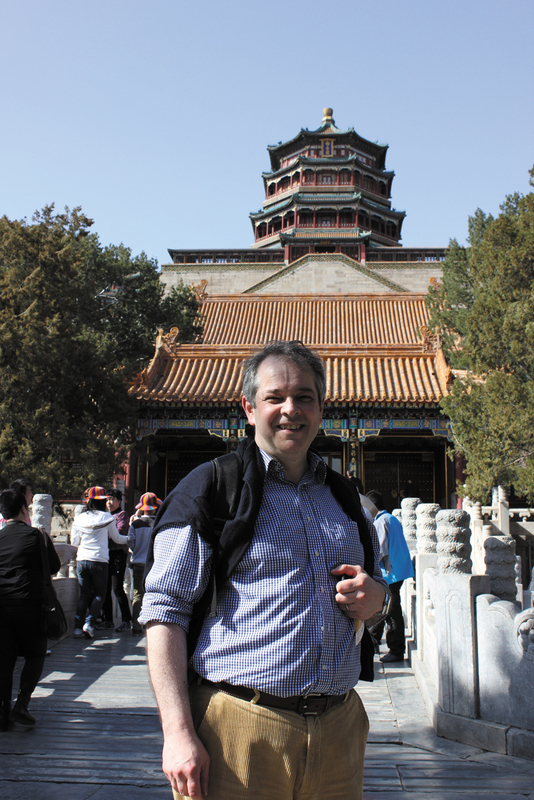 On my recent visit to China I was fortunate to visit the Imperial Summer Palace, which was reconstructed after the ravages of the Anglo-French invasion of 1860 and the Boxer Rebellion of 1900. The gardens were originally commissioned by the Qianlong Emperor in 1749. Today, the gardens are enjoyed by thousands of Chinese and some foreign tourists. In the palace are rooms furnished with Qianlong period furniture and porcelain of the finest quality. They give an insight to the genius and restraint of Chinese imperial taste in the 18th century. 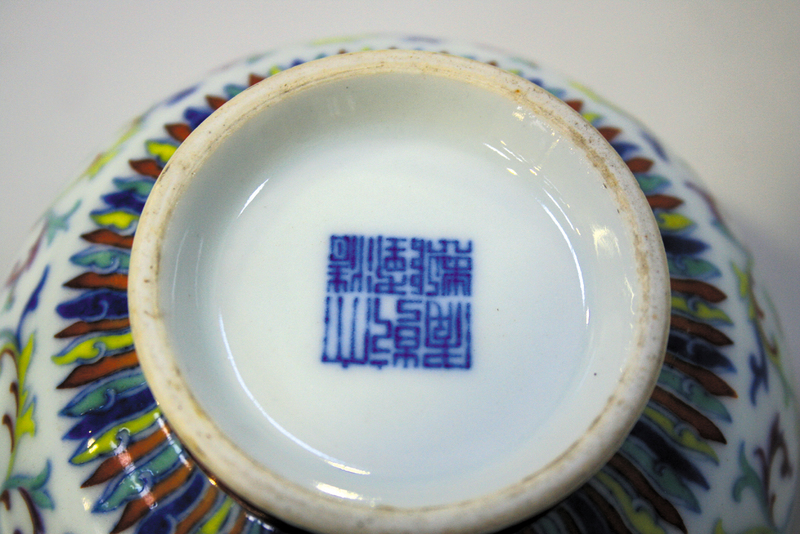 The piece illustrated is a Chinese doucai porcelain globular jar bearing the six-character seal mark of Qianlong. The body is decorated with slender stems of lotus, alternating with narcissus, over a lower frieze of the eight auspicious Buddhistic emblems, which include symbols representing eternal harmony, knowledge, purity and enlightenment. The third and lower tier is of flowers. All these decorative elements communicate with each other between a frieze of flame-like lappets and a ruyi-encircled rim. All are finely outlined in underglaze cobalt blue. Doucai decoration first found favour during the Chenghua reign (1465-1487). The delicate cobalt-blue outline to all the coloured enamels defines doucai decoration and unites them with delicacy and brilliance. It can be difficult to discern the age of these doucai pieces. The specialist and connoisseur will look for differences in the cobalt blue of the outline, which often has a softer appearance on earlier objects. Later examples also fail to capture the charming ivory tint to the glaze of 15th century examples. Qianlong period examples, however, are celebrated for their translucent enamels, alive with colour, which are set off by the precision of the cobalt-blue outlines. We are left with the impression that they are at once fragile and precious. These qualities are much in demand, particularly in imperial pieces. 18th century examples, like this jar, command high prices, especially when they bear their true reign mark, rather than copying an earlier reign mark. Measuring just 9cm high, this doucai vase sold at auction for £32,000 in a specialist Oriental sale earlier this year. It is this combination of harmonious design and restraint, combined with the shear quality of the painting and execution, which never fails to delight me. Delicate and brilliant, doucai pieces take some beating in any century! 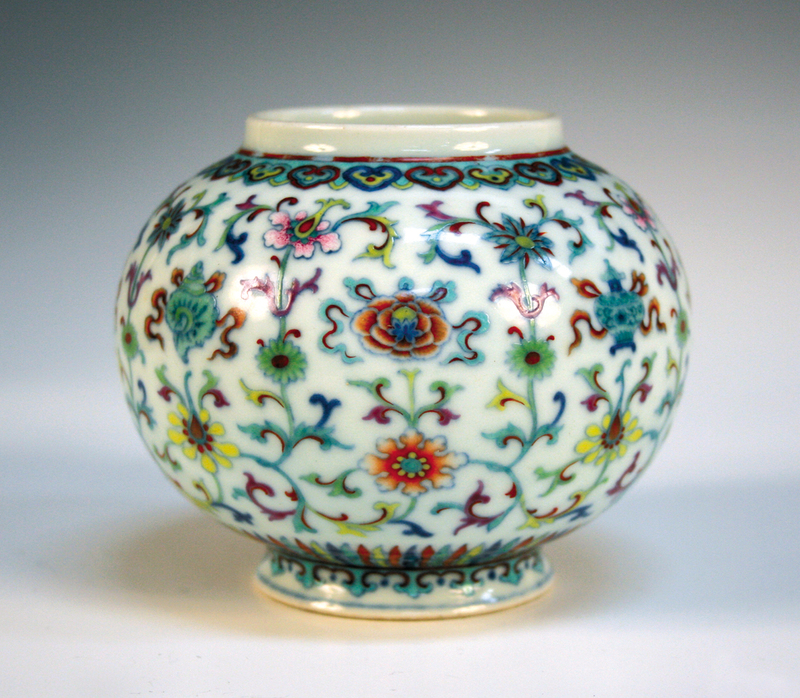 View Toovey’s Specialist Sales of Oriental Ceramics and Works of Art by clicking here. By Revd. Rupert Toovey. Originally published on 8th May 2013 in the West Sussex Gazette. 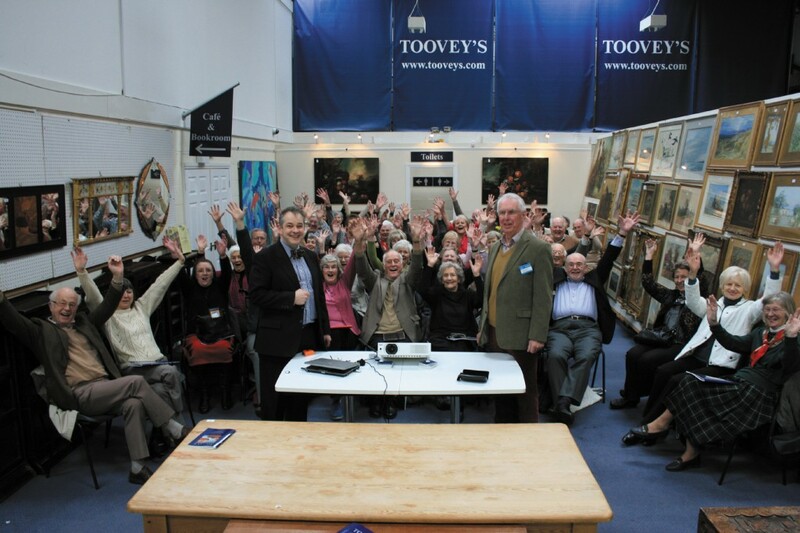 The monies are now in and Toovey’s Special Interest NADFAS Day in aid of the Mary How Trust has realised £780. At the beginning of the 20th century, England had never been more prosperous. The English purchased more jewellery in the early years of this new century than in any other period in history. 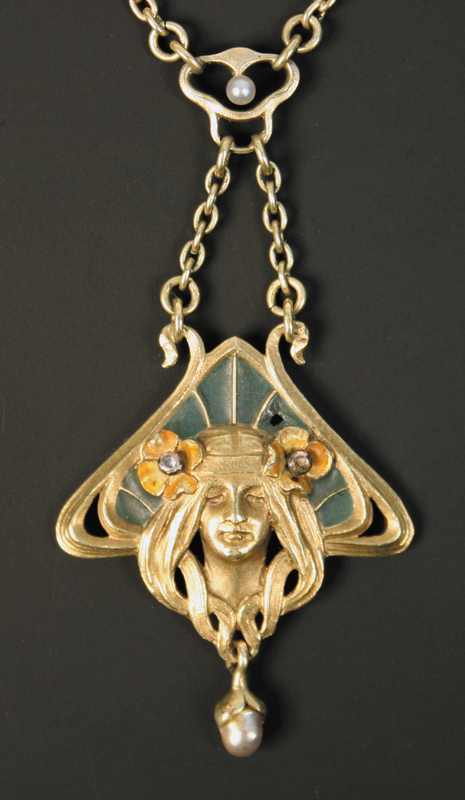 The popularity of Art Nouveau and Revivalist jewellery continued in the spirit of the 1890s as people looked back to late 19th century tastes. The influence of the Arts and Crafts Movement was again felt as a demand for handcrafted jewels grew among this affluent society. At its best, Edwardian jewellery interprets earlier styles with a lightness and delicacy of ornament and manufacture. The fashionable Edwardian lady wore her diamonds, pearls and precious gems with restraint, avoiding the Victorian tendency for ostentation. Restraint and exuberance marked out tastes in the light-hearted first decade of the century. Stones of intense, yet soft colours were favoured. Take, for example, the exquisite Edwardian jewel illustrated. 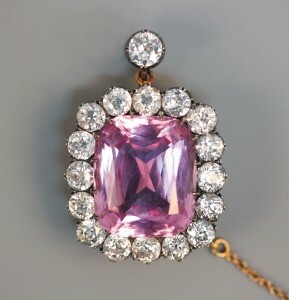 This diamond and pink beryl pendant brooch, circa 1900, beautifully illustrates the appeal of an Edwardian Revivalist jewel. It measures 2cm x 1.7cm, this smaller size reflecting changes in women’s fashion. 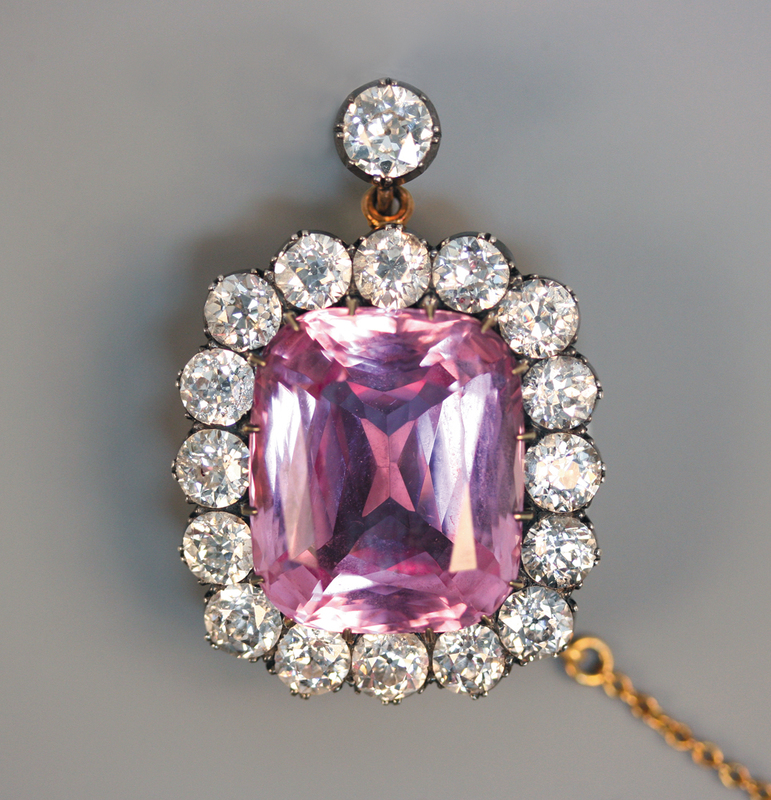 At the centre is the large pink beryl, claw-set in a surround of sixteen pinched collet-set, old-cut diamonds. The term ‘beryl’ covers a range of mineral-based stones, including emerald and aquamarine. The cut and setting of the diamonds also add to the air of restraint and softness of the piece. The pendant was owned by a continental lady, who had lived through the tumult of 20th century European history and had made her home in the heart of Sussex. At a recent specialist jewellery sale, its understated quality attracted the attention of contemporary connoisseurs of jewellery and it realised £15,500. Less expensive examples from this period can still be found, like the Arts and Crafts-style bracelet in silver with blue/green enamelled rectangular and Celtic pierced-scroll panel links, also shown here. It was made in 1909 by Charles Horner, who manufactured this type of work in his Halifax factory in relatively large quantities, in response to fashion and demand. A bracelet like this would realise around £700 at auction today. 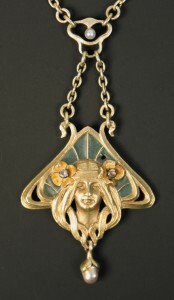 The gold, plique-à-jour enamel and rose diamond-set pendant illustrated is a delightful example of Art Nouveau design. It is decorated with the portrait of a maiden between two rose diamond-set flowerhead motifs above a cultured pearl drop. Plique-à-jour is a technique where enamel is applied to cells without backing; it gives the impression of miniature stained glass windows. The Art Nouveau seeks not to slavishly depict nature but rather to capture something of its essence. This appeal helped the pendant to realise £680 in spite of faults to the enamel. All these pieces reflect the joy and light-heartedness of a new century, a punctuation mark in the procession of history before the tragedy of war and revolution broke upon Europe. The first decade of this new century was filled with expectation. The outbreak of the Great War in 1914 brought this extraordinary and particular period of patronage and manufacture to an abrupt close. Jewels were locked in security vaults or sold for survival. Today this jewellery attracts attention and competition from across Britain and from around the world including the USA and, increasingly, China. Its quality of design, material and manufacture places it out of time and its continued appeal, it would seem, is as assured at the beginning of this new century as it was in the last. Toovey’s specialist jewellery auctions can be viewed here. By Revd. Rupert Toovey. Originally published on 1st May 2013 in the West Sussex Gazette.